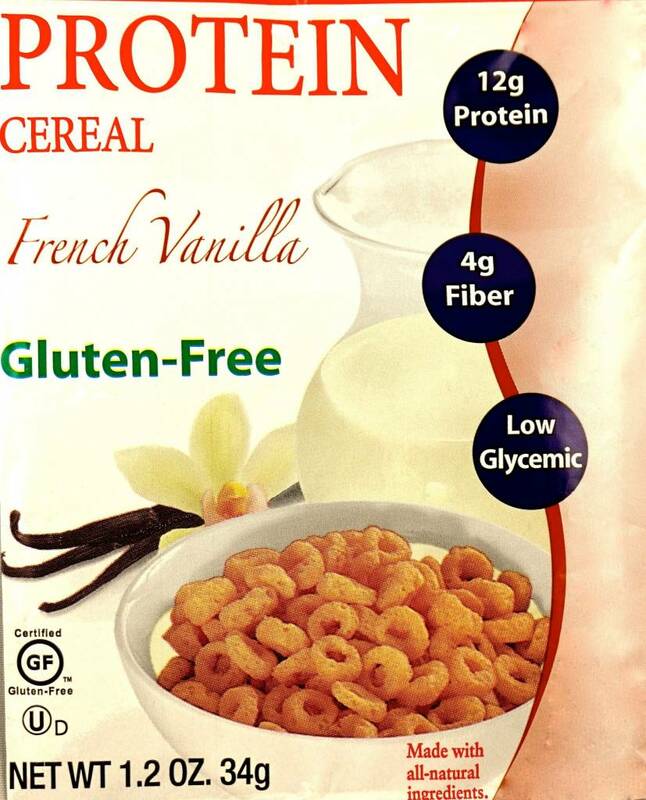 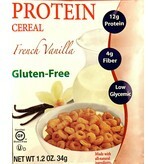 French vanilla protein cereal, gluten free, no trans fat. 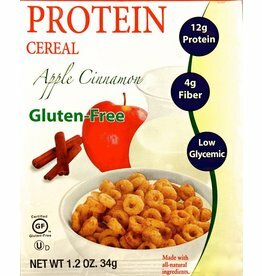 NUTRITIONAL PROTEIN SUPPLEMENT FACTS: Serving Size 1oz (28g) Servings Per Container 1 (Per Serving / % Daily Value) Calories: 100, Calories from fat: 11 Protein: 9g (15%), Total Fat: 1.5g (2%), Saturated Fat: 0g (0%), Trans Fat: 0g, Cholesterol: 0mg (0%), Sodium: 140mg (6%), Potassium: 0mg (0%), Total Carbohydrates: 15g (5%), Dietary Fiber: 3g (12%), Sugars: 3g. 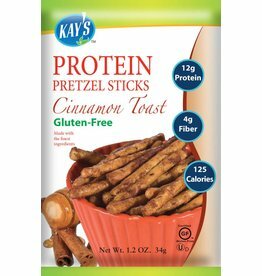 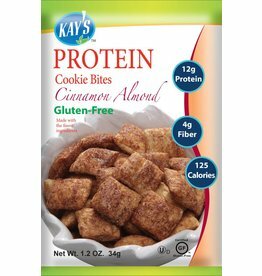 INGREDIENTS: Soy protein isolate, yellow corn flour, rice flour, tapioca starch, inulin, pea fiber,natural honey, evaporated cane juice, canola oil, cinnamon powder, vanilla extract, natural flavoring, baking powder, double-acting leavening agents, salt. 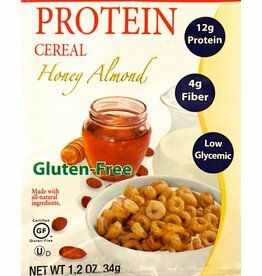 Tasty honey almond gluten free protein cereal.